Frontline properties in Spain are always in demand, however finding homes of any quality on a beach front location has always been difficult, even for those with cash to burn. 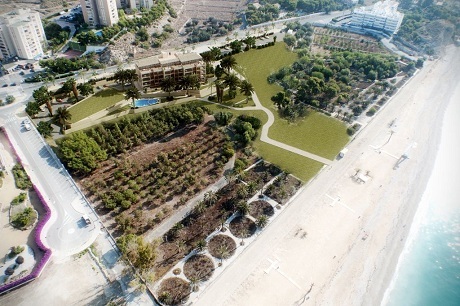 Now leading Spanish house builder Taylor Wimpey España is happy to announce the pre-release of a unique first line development on the Spanish Mediterranean coast that won’t break the bank. The first phase of La Vila Paradis in Villajoyosa, Costa Blanca will compromise of 27, two and three bedroom/two bathroom apartments, all with beautiful sea views and direct beach access. “We are extremely excited about the La Vila Paradis development. At present, there are no first line developments with direct beach access going up on the Spanish Mediterranean coast – rest assured we are the only developer building beach front properties. In my time I can’t recall seeing anything similar to this plot of land in Spain and I’m very excited that we’ve managed to secure such a wonderful piece of land! Less commercialised than its cousin the Costa del Sol, the Costa Blanca is the second most popular choice for foreign buyers seeking second homes. In this regard, the President of the Generalitat Valenciana, Alberto Fabra recently revealed that Alicante has become the Spanish province with the largest number of foreign transactions, with almost 85%. “With Alicante being such a popular choice for overseas buyers, it’s hardly surprising we are a little excited by our new development – our own sales reflect the Costa Blanca’s popularity and we are happy to report that we’ve seen a 76% increase on total property sales on the Costa Blanca until September 2012 compared to the same period last year. La Vila Paradis will benefit from a beautiful Mediterranean design and will be built with high specifications and qualities including modern stone tile floors, air conditioning and hot water with an energy saving solar thermal system. Starting from just €249.000 the development rests within walking distance to local amenities and a 20 minute drive to Alicante city centre. The tram station is only 250 metres from the development and will take visitors to Alicante centre and up the coast as far as Denia. I am very interested in the La Vila Paradis development. Could you please send me more information? Please add in your information the situation of these properties regarding the Ley de Costas 1988 which at the moment is the only one legally aplicable. This is not true the law has yet to be discussed in Parliament at its ammendments stage. It is still a PROJECTO DE LEY.